Perhaps this article is a bit of a repeat which makes it a bit of a cheat, but some things do crop up year after year and it has been edited for fact-checking and freshness. This site previously discussed the National Cipher Challenge, held for teams of full-time students under 18 years of age. 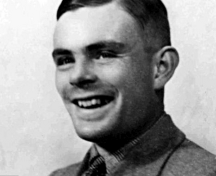 Happily, the cryptography season is not just one competition long each year; ever since the University of Manchester’s School of Mathematics celebrated the centenary of the birth of Alan Turing in 2012, each year there has been a cryptography competition for school students. 2016 sees the fifth edition; the first chapter – and thus the first cipher to solve – is released tomorrow, probably at around 4pm or so. Prizes are available, but only for teams consisting of no more than four pre-Sixth-Form participants, so the limit is year 11 in England and Wales, S4 in Scotland and year 12 in Northern Ireland. There is provision for non-competitive teams to take part without scoring; here there is no restriction on numbers or ages so teams featuring overage students, teachers, parents or members of the general public outside the education system can take part purely for the fun of it. This year also sees the first edition of a sibling team mathematics competition, MathsBombe, which runs along somewhat similar lines and where Sixth Form students are allowed to play. “The competition follows the story of two young cipher sleuths, Mike and Ellie, as they get caught up in an adventure to unravel the Artificial Adventure. Every week or two weeks a new chapter of the story is released, each with a cryptographic puzzle to solve (…) There are six chapters in total (plus an epilogue to conclude the story). Points can be earned by cracking each code and submitting your answer.” The more quickly you crack each code, the more points you win for each of the six chapters. The chapters are released weekly at first but slow down to fortnightly as the chapters get harder and half-terms start to get in the way. This site really enjoyed the part of the video where the kids at the day emphasised how much they enjoyed the live competition and the factor of time pressure. You can see where this is going! If there’s a self-selecting audience who love cracking codes against the clock, surely – surely – this would be a fantastic opportunity for an exit game (particularly one with a branch in Manchester itself – but, really, anyone anywhere, particularly one which saw itself as a national player) to become involved with sponsorship. What would be in it for you? Especially if you can arrange a live challenge, there could be the chance to get the word out to hundreds of children who have proved themselves not only sufficiently interested in puzzles to enter a cryptography contest but sufficiently talented to do really well at it. On a very slightly cynical note, you might think of this as a way to reach 200 families, or more, who are likely to be right in the middle of your target audience and likely to want to play again and again. Seems like such a natural fit! Dinah Holman QSO, Auckland, New Zealand. Greetings. Sixty-four years ago a friend, then 12 years of age, sent me a a message from London written in code, which I still have. Accompanying the letter was a Gilford Patents (BCM/Gilford, London, W.C.1) multi-coder, which was made of two parts – a square white base and a round disc. The key word was “Raven” and on the outer circle, one was 1. I’ve long ago lost the multi-coder and now don’t know how to decode that message. Can anyone help me locate a Gilford multi-coder, or, if I send the instructions, can anyone actually decode the 55-word message for me? My friend died a few years ago, She was a Dame, and New Zealand’s leading historian on Maori history. I like to think that her early detective work and coding laid the foundations for her considerable research skills. I think I can guess the greeting and the sign-off: U.V.R.9. D.I. is “Dear Di”. 7.O.G.Z. or J.V.S.Q. (could be J.U.S.Q.) IS “Love”. R.N.T.Y.R. is “Eagle”.